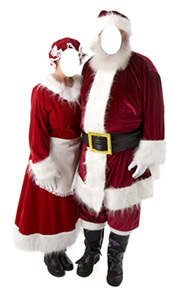 Mr. and Mrs. Claus Cardboard Photo Face Stand-In - Dino Rentos Studios, INC. 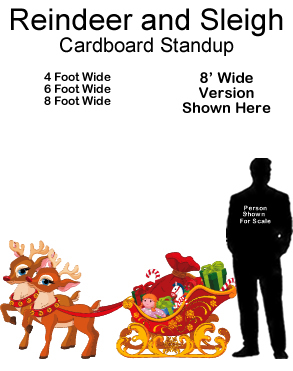 This Mr. and Mrs. Claus Cardboard Photo Face Stand-In is great for your Holiday party! Put your face in the cutout area and take pictures! 6 foot tall by 40" wide.